What looks great with a pair of blue jeans? Ruby by Bonnie and Camille! Last weekend I took advantage of Keyka Lou’s anniversary sale (now known as Michelle Patterns). I waffled around wondering what fabrics I wanted to use for this pattern. I hadn’t intended on using denim but I found a pair of jeans my husband no longer wore and decided to cut them up. I didn’t want to make the bag entirely out of denim and this print from Bonnie and Camille’s Ruby line looks so sweet with it, a great contrast of masculine and feminine. I happened to have some yellow top stitching thread which came in handy for this project. I was going to use denim for the strap but the way I cut the jeans ruined that idea so I decided to make one out of fabric. I put a piece of batting inside and top stitched 4 times. This bag is generous enough to hold an iPad or book without being oversized, I also love the little side pockets, cute and functional. 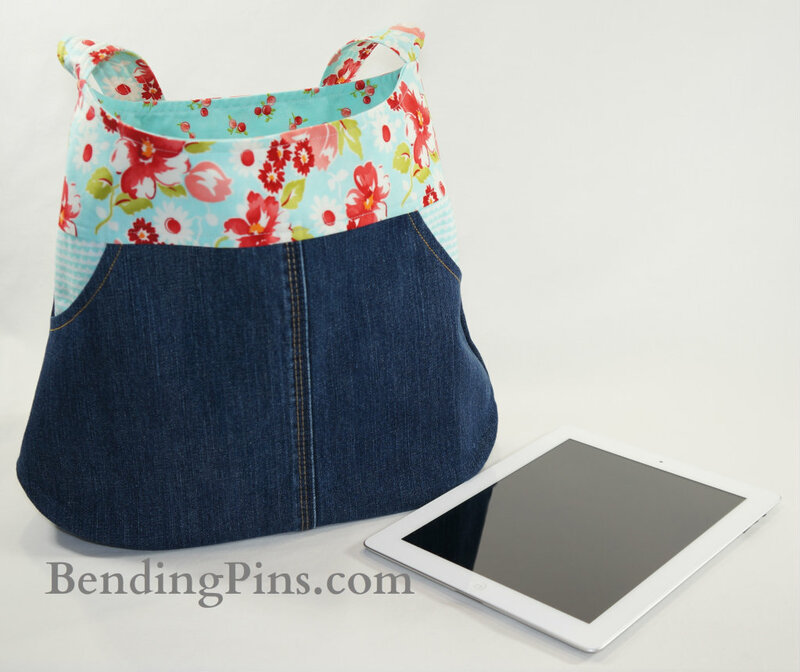 This entry was posted in Finished Objects, iPad, Keyka Lou and tagged bags, Bonnie and Camille, iPad, Ruby by Tabatha. Bookmark the permalink. It’s so pretty! I love her patterns. 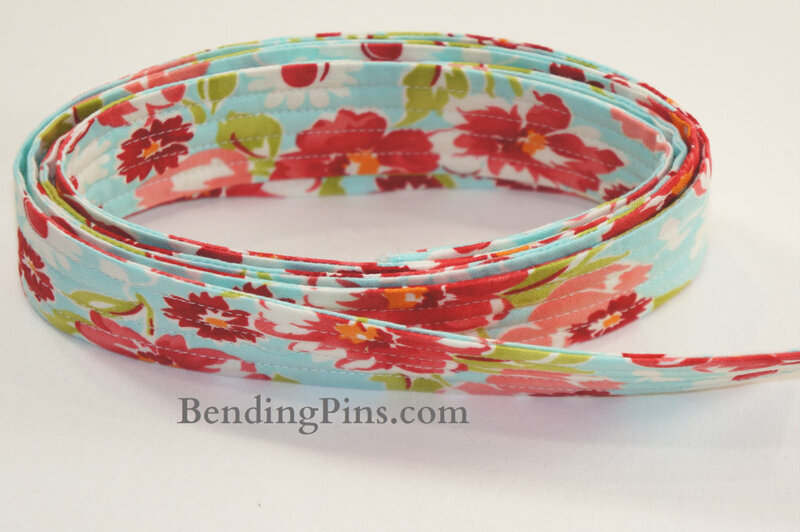 Thanks Tara, her patterns are so quick and easy to whip up, I love them! Loving the fabric choices, Tabatha! Thanks M-R, I think I’m going to play more with this combination! I really like the cute pockets and good idea for the handle. Thanks Amanda! This is my favorite bag and I think it’s going to come to Germany with me! I love this bag! I like the print with the denim. Thank you Candy, me too! 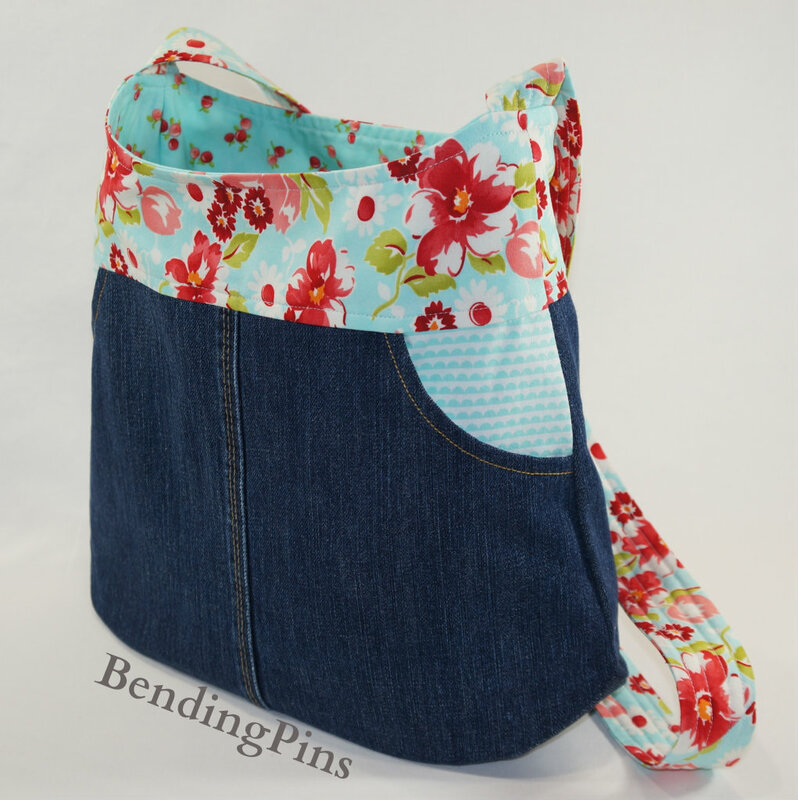 I really love the denim with Ruby and I think this one is a keeper! I’m going to add a magnetic snap to it as well. 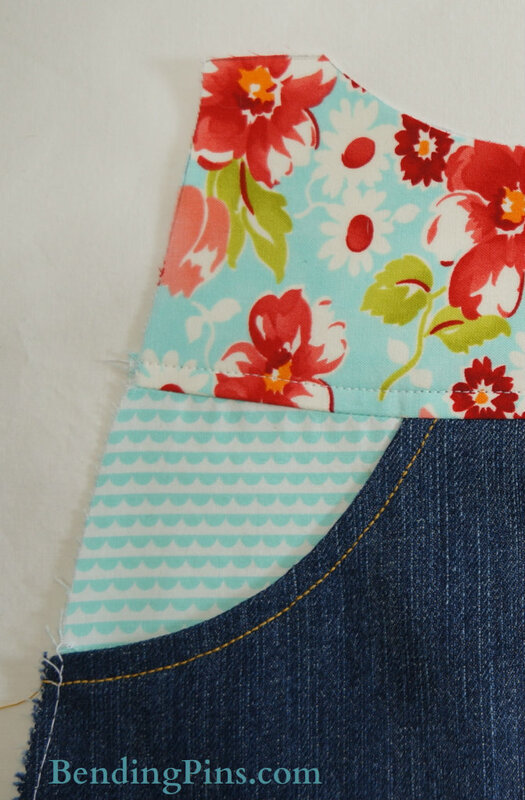 I love the denim and print mixture….it turned out great! Love it! That looks fabulous. Love the denim and ruby combination. Wouldn’t have thought of it but it works so well!